A CD presentation can integrate all the essence and details of any organization or product or occasion, giving the viewer a complete understanding about its purpose. 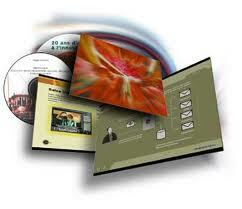 The CD presentations can be automatic or semi-automatic i.e. user controlled. A semi-automatic presentation is one where the user controls the whole presentation and chooses what to see. But in automatic presentation the presentation runs through its full length independently. A multimedia CD presentation includes rich images, animations, sounds with appropriate texts and special effects to amuse and grab the attention of the viewers giving you a competitive edge over others around you. Our creative team professionals assist our clients through planning, designing and creating an impressive and engaging presentation. In the CD Presentation package, we provide 3D animation, 2D animation, moving pictures, flash images, voice-over, music, and video with excellent creativity. A well branded and designed CD cover/ case and customized CD /DVD label forms a part of our multimedia assignment.